Natural Mosquito Control System Basics: Mosquito Misting. A natural mosquito control system uses a plant-based chemical mosquito barrier to prevent these insects from entering your yard and the boundaries of your home. Many think wasp stings are bad, but they don’t pass on the nasties that mosquitoes do. Mosquito viruses in the USA affect humans and other animals, including dogs and cats. One of the more serious conditions that mosquitoes can transmit is encephalitis – a disease of the brain. At least seven mosquito viruses transmit encephalitis in the USA: the West Nile, LaCrosse, dengue, yellow fever, St. Louis, western and eastern encephalitis viruses. Another, the Chikungunya virus, causes very severe joint pain, and Dog Heartworm can kill dogs. What is a Natural Mosquito Control System? Lemon Balm: contains citronellal, geranial and geraniol, each of which repels mosquitoes. Catnip: contains nepalactone, another essential oil that mosquitoes avoid. Rose-scented geranium: Also contains citronellal and geraniol. Basil and lemon grass also repel mosquitoes for a short time when rubbed on the skin. Another substance that acts as a mosquito barrier is pyrethrum oil. This is another natural mosquito control substance that is obtained from chrysanthemum seeds. Not only is it safe for use close to humans and other animal species, but it is very effective in killing mosquitoes and other flying insect pests. You can use it in your kitchen, in your barbecue area and restaurants. It is biodegradable and degraded by sunlight, and is therefore non-persistent in the environment. A mosquito misting system using pyrethrum is the basis of a truly natural mosquito control system. So how is such a mosquito misting system used? A mosquito misting system generally consists of a number of nozzles set around the perimeter of your home to create a mosquito barrier. It is fed from a central tank or individual containers, and timed to spray a fine mist of natural mosquito control insecticide around your yards at timed intervals. Some say that timed spraying is ineffective, but they are wrong. The best times to spray are early morning, dusk and evening when mosquitoes are most active. 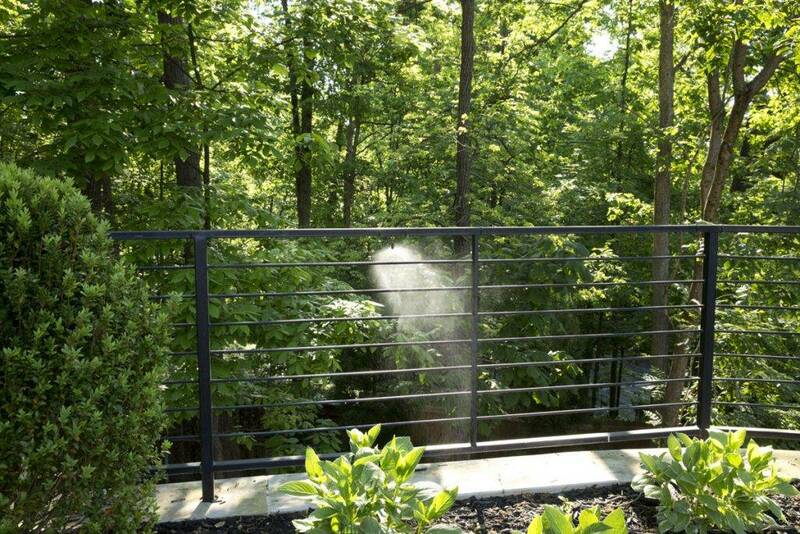 A mosquito misting system such as this not only establishes a mosquito barrier, but also destroys any insects active at the time. When they settle down to rest, they do so in a very poisonous environment for them with fatal results. This natural mosquito control system is based upon pyrethrum and it is safe for you to go about your daily activities after misting.